Good morning and happy Thursday, everyone! I hope the week is treating you well so far. I’m excited for the weekend. I took tomorrow off work and my best friend is coming to visit! I’m also running a 5k this weekend. I love fun, busy weekends! Here’s an update of my week up until now. 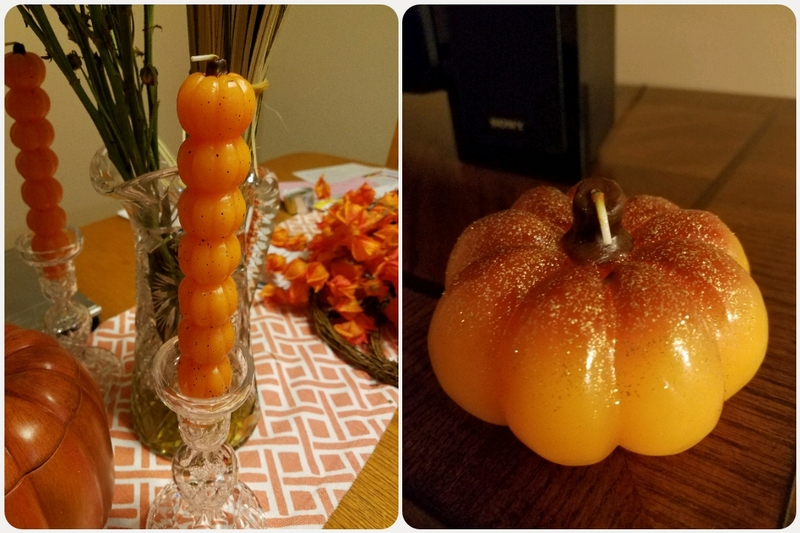 My mom and I went shopping for all of the fall things! Decorating in our first home has been so much fun!! 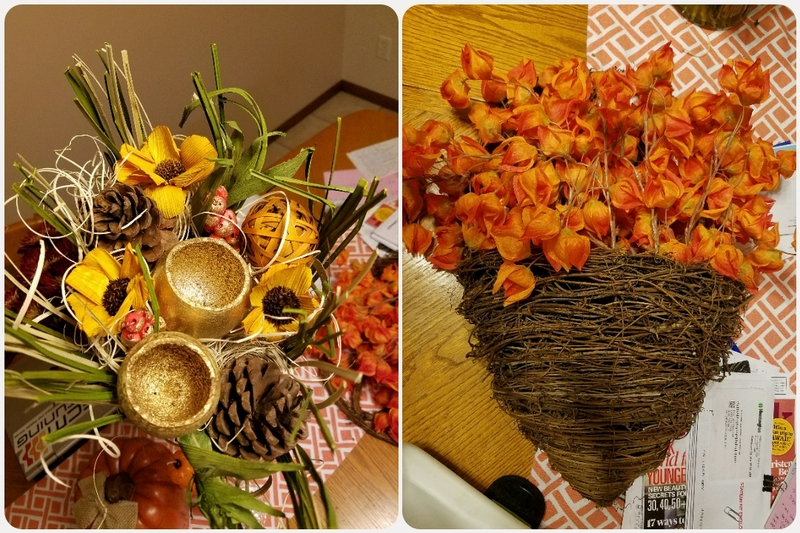 Fake flowers and a door wreath. After shopping, we met one of my friends for sushi! 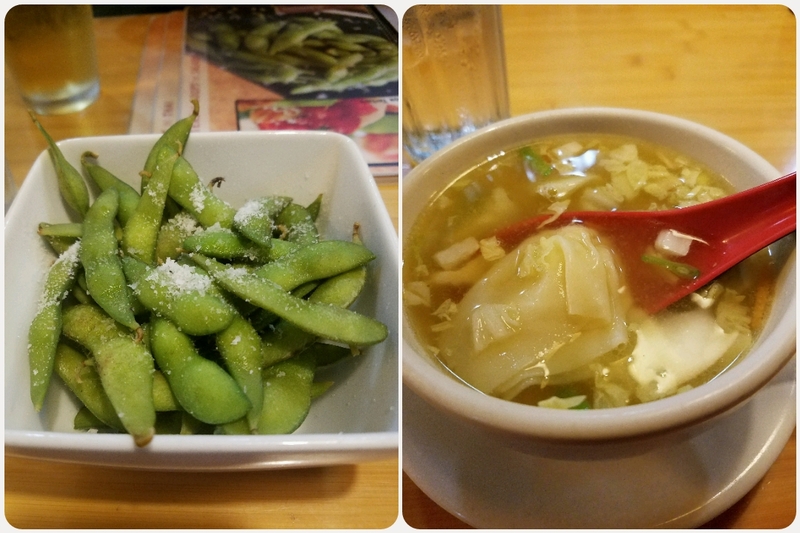 Edamame and won ton soup. 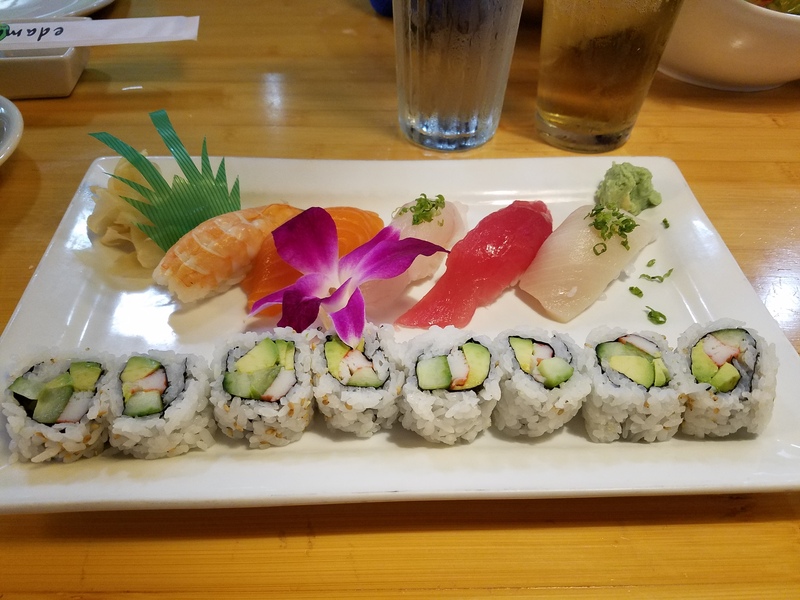 My mom and I split the sushi sampler! SO GOOD!! Pretty uneventful. I went to work and the chiropractor. Dinner was a healthier walking taco which was awesome (recipe later)! After dinner, we watched the Master Chef finale! This morning I decided to make a fun breakfast. 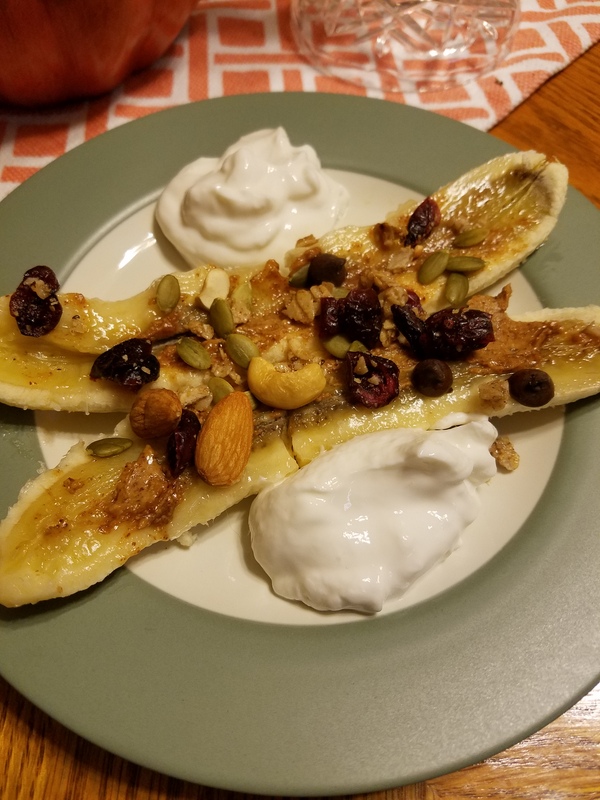 I love bananas so I decided to make a Breakfast Banana Split! This can be made so many ways, but here is my version. I enjoyed breakfast with a Starbucks coffee!! Now it is time for work! Have a wonderful rest of your day!